The word ‘Music’ in itself is melodious. It’s doubtful that you can recall which was the first song, ghazal or singer that mesmerized you, but if you do remember then I can bet that song has made a special place in your heart of the hearts – never to go away ever. When I was a child of 6 or 7 something, living in a small town. Like all other children had my own set of naughtiness and the love for ‘music’. We had an old record player with lots of LPs and EPs. Now my father quite frequently had to go Lucknow, the capital of the state for his official work, he was in government service. 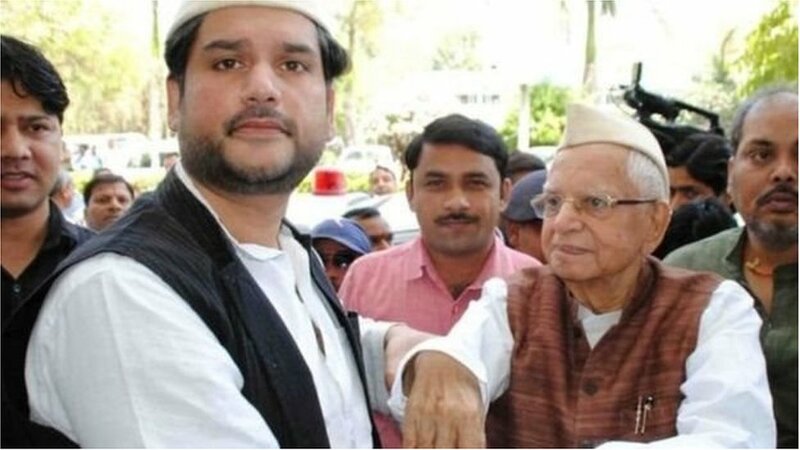 The news that papa will be going to Lucknow was always a joy to me. The happiness was so overpowering as if it had jumped into me and won’t let me do anything not even let me go out to play with my friends. The only thing that it allowed was to wait for the late hour when my father would return. It was about 9pm when my father returned and then the excitement of knowing which record has he bought this time was unthinkable. This particular night the rickshaw was loaded with three big cartons. All had inscribed on them HMV. “Go and sleep”! It was that tone of voice of my father which meant you are not supposed to say anything “We will open these boxes tomorrow morning”. Finally in the morning sitting in a corner of the living room with eyes wide open I saw the unpacking of those three boxes. When everything was set we had our new “Stereo” record player. The new LP that father had this time put to play. The ‘Voice’ that entered into my ears was a voice I had never heard ,but, that voice was so intoxicating that I felt drowned in the sea of melody. The LP was “The Unforgettables” and the singer “Jagjit Singh”. No one knows this not even me when the singer became a part of me and that the love I developed for the voice was something that will part with me only when I leave this world. 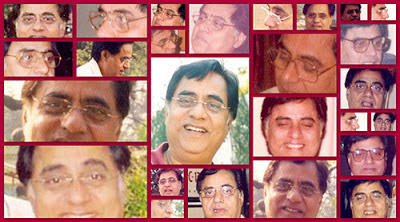 Time kept moving and with it the number of Jagjit Singh’s records kept increasing. Then the era of audio cassettes arrived. The cassette player was mostly playing one or the other of Jagjit’s cassettes. Had I not heard Jagjit Singh in my life, I would’ve never become a lover of Ghazals. To me Ghalib is another name of Jagjit Singh so are the names of others like Nida Fazli, Sudarshan Fakir. Please don’t mind but it’s a fact that I know, these poets and others only because Jagjit ji gave a voice to their writings. Later I shifted my base to New Delhi. The morning paper gave me the news that he is coming to Delhi and will be singing live. I don’t remember from where I managed the funds to buy the ticket but I did. Then in Siri Fort auditorium I heard ‘the voice’. It was, as if a person made of velvet with a velvet vocal cord was spreading threads of silk thru his voice covering the entire auditorium. And that tied me even closer. It was February 26, 2011 a program was organized to celebrate his 70th birthday and to commemorate completion of 50 years that Jagjit Singh (Padma Bhushan) had given to the music. He had with him on stage Gulzar sahab (Padma Bhushan) Nritya Samrat Pandit Birju Maharaj (Padma Vibhushan) to honour him. I remember Gulzar sahab’s emotional speech about him and then the documentary that was screened showing his carrier. I had tears in my eyes. Never knew that this is the last time that I am going to see him. I think it was his last concert here in New Delhi. Not a single day has gone when I don’t listen to his voice and there won’t be any in future too. Jagjit Singh is still sitting in that vary place within the heart of the hearts of that 6 year old child – never to leave him.